Is Simulation Theory the perfect Muse album? Pretty much, yeah. To me, this has been the sound they have been searching for since they lost it at the release of The Resistance. The past couple of albums have been a bit wobbly in terms of that tradition blurring of genre lines, stepping too far into electronic and hard rock in 2nd Law and Drones respectively. The albums weren’t awful by any stretch of the imagination, they just weren’t what we’d come to expect from Muse, and for me, that was a let-down. 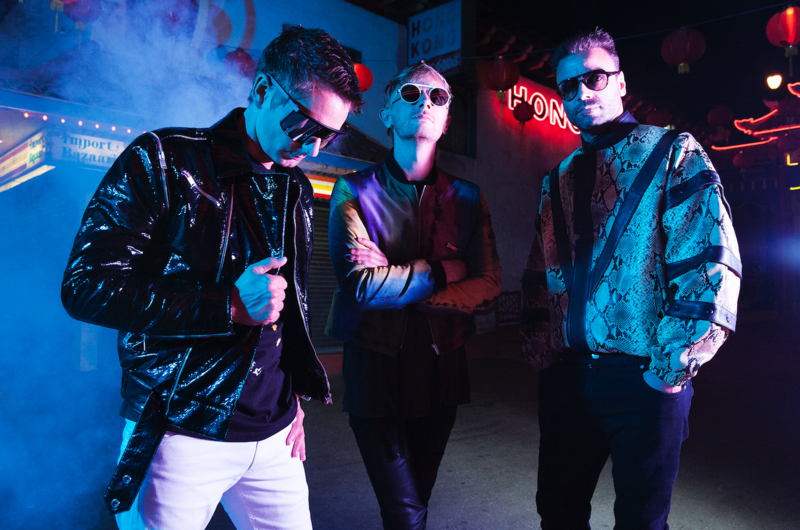 On Simulation Theory though, Muse have rediscovered their sound from their previous albums, carefully treading that tightrope between genres, careful not to step one way or the other. What I really admire in Simulation Theory is their ability to bring relevance to the direction of the album. By adding a retro futuristic feel to the album (both the album itself and the artwork), it rides the wave of retrofuturism present in many avenues of media today. Some say that retrofuturism as a trend is on its way out and is a little bit basic as an album theme, but Muse gives it a revival in Simulation Theory, which I think not only caters for Muse’s existing fan base, but also this new technological sound brings a whole new generation of mainstream listeners that may have avoided their previous work due to it being too heavy on the rock aspect into the fray. This album gives me serious sci-fi vibes, and many of the tracks, such as ‘Algorithm’ or ‘Blockades’, could easily accompany many futuristic video games, such as the Borderlands franchise or Far Cry: Blood Dragon. The purely mechanical ‘Algorithm’ achieves this more than any other track on the album. The reliance on fades and similar DJ-esque sound effects, paired with the more traditional, instrument heavy stylings of Muse albums gone by is like pairing a nice red with a prime cut of steak; it doesn’t take away from the orchestral magic of the violins and the pianos, instead it enhances it, because the clear instrumental notes are coming through even clearer in the electronic, synth-heavy fog surrounding them. A lot of the hate towards the album comes from the singles released prior to the full album release. They were very hit and miss (I’m looking at you, ‘Something Human’). It made the album seem like a collection of very abstract ideas, with no real direction. However, in the larger scheme of things, the variety in the pace of the tracks and the different focal sounds coming across mirrors their discography. Some tracks, such as ‘Algorithm’, wouldn’t seem out of place on the 2nd Law, a heavily electronic album, whereas others, such as ‘Propaganda’ and ‘Pressure’, with their reliance on the guitar and drums, would fit in perfectly into Drones, the band’s seventh studio album. This combination of sounds from different eras in Muse’s history in the same album may seem like a massive identity crisis to the uneducated listener, whereas it makes sense in the grander scheme of things, they’re just looking back so that they can look forward, refining their sound further as the album progresses. Personally, I’d say that ‘Thought Contagion’ is the perfect track for Muse, as it perfectly blends both rock and electro with a pinch of the ’80s that gives me the chills. The combination of drums, acapella and electronic effects merge to give the backbone to the track, along with a political punch from the lyrics, gives this track a sense of purpose; to inspire, in a similar way to ‘Time Is Running Out’ from Absolution. Something that Muse has always capitalised on is bringing politics into their albums. This has been present in most of their albums (most noticeably Drones), and Simulation Theory is no exception. Previously though, there has been an air of defeat whenever Muse made their tracks political (for example, the title track of 2nd Law was an ode to the failure of humans to look after the planet). The tone of Simulation Theory is a lot more hopeful, and that is exactly what we need in the age of Trump and Brexit. Tracks such as ‘Dig Down‘ and ‘Get Up And Fight’ aren’t there to bring you down, they are there to raise you up, give hope that it will all work out in the end and to be the change you want to see in the world, which is surprisingly optimistic for muse to do something like that. Overall, Simulation Theory is an amazing album which has received too much hate from various critics. The only thing missing from the album, for me, as a die-hard muse fan, is a purely instrumental piece to bring the album to a close, akin to ‘Exogenesis’ in The Resistance; as it is a very fitting way to bring the punchy nature of Muse’s music to a close, but other than that, I want Muse to carry on in the direction that Simulation Theory has pointed them. ‘Simulation Theory’ is available now via Warner Music UK. Check out our review here. My issue with this album is that they’re all very… “decent” Muse songs, i like most of them, but only one or two really stand out to me. They’re missing some bombastic piano solos, strange guitar riffs, ridiculous orchestral interludes and sudden style changes in the middle of songs. Take “Thought Contagion” for example, good song, but I want a longer guitar bit near the end, followed by an orchestra and a choir doing the “who-ho-wow” bit, before going back into the chorus. In conclusion: I have the same problem with this album as I had with Drones. Even though they are very different albums, they both feel too “safe”. I’ll gladly sing along to the songs, but I’m left hungry for something more.